This widget allows you to add text to anywhere in your page, where it could play a big part. Title: Here you enter the title to be displayed above the text. 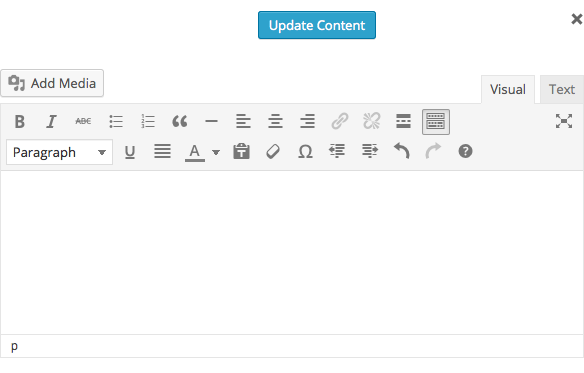 Open Visual Editor: Click here and an editing window will show up, where you can enter / paste the text. To finish click Update Content.